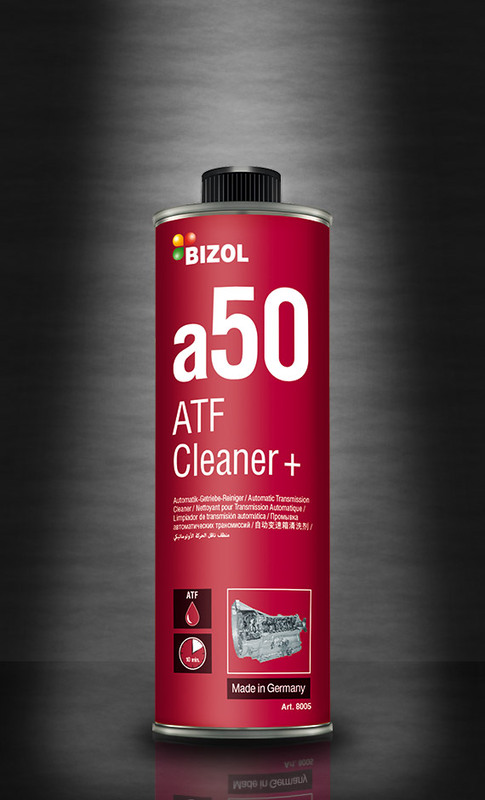 BIZOL ATF Cleaner+ a50 is suitable to be used before AT fluid changes for all automatic transmissions. It dissolves disruptive deposits and residues providing optimal shifting performance and in this way extending the transmission service life. 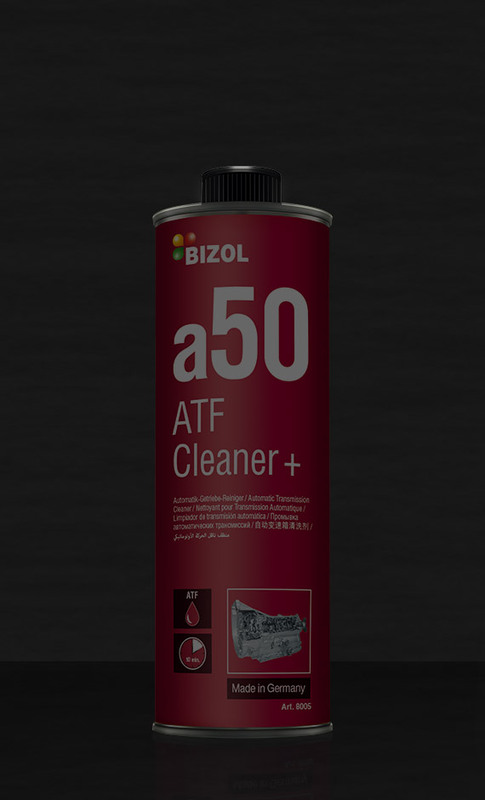 Add BIZOL ATF Cleaner+ a50 to the AT gear oil at operating temperature (approx. 40°C) before the fluid change, then let the engine run for 10-15 minutes. Shift through all gears for the first 5-6 minutes. Then change the fluid and the ATF filter. The additive can also be used to flush steering gear systems (Power Steering) before changing the fluid. Specially designed for the BIZOL ATF Intelligence 2000 oil exchange machine. 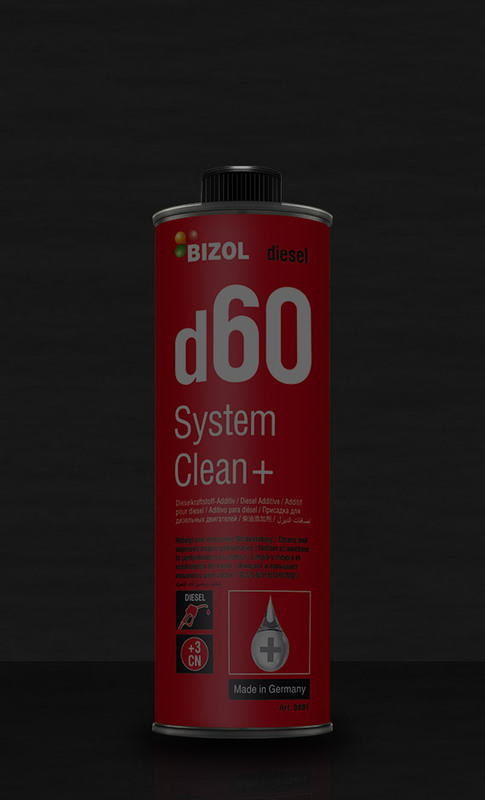 BIZOL Diesel System Clean+ d60 dissolves deposits in the diesel injection system and in the combustion chamber caused by low quality fuel and high fuel sulfur content. Increases the cetane number and improves the ignition performance therefore saving fuel. Protects diesel systems from corrosion and wear. Reduces wear through extra lubricity molecules. By reducing emissions it is environmentally friendly. It is suitable for all Diesel Common Rail and Diesel Injector Unit Systems. A 250 ml can is effective for up to 75 liters of diesel fuel. It can be poured in the fuel tank at any time; it is self-mixing. For preventive maintenance use every 3rd tank filling. In countries with low fuel quality recommended for continuous use. 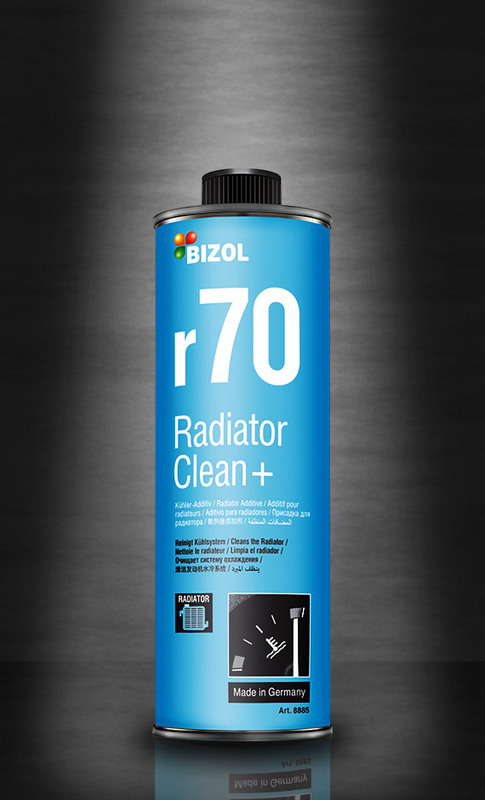 BIZOL Radiator Repair + r71 effectively seals hairline cracks and small leaks in the radiator system and gaskets. Optimizes the cooling system performance and prevents the engine from overheating. It is compatible with all commercially available coolants. It is absolutely safe for aluminum parts. A 250 ml can is suitable for 10 liters of coolant. Run the heating system. Shake the 250 ml can before pouring it in the cooling fluid when it reaches its normal operating temperature. Run the engine for 10 minutes. 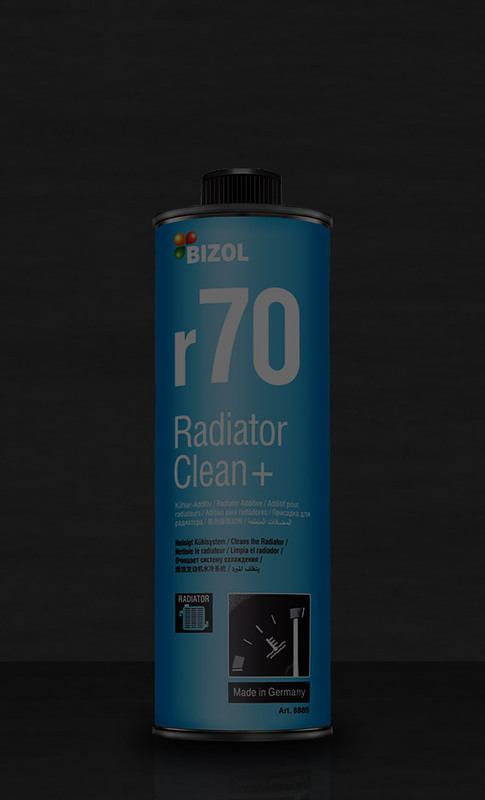 BIZOL Radiator Clean+ r70 effectively cleans the cooling system by dissolving chalky deposits, oil and other contamination in the cooling ducts and pipes. Reduces the temperature of the engine and improves the cooling system circulation. Absolutely safe for seals, rubber hoses and aluminum parts. A 250 ml can is effective by pouring it in the coolant fluid when it reaches its normal operating temperature. Run the heating system. Let the engine idle when the vehicle is not in motion for about 10-30 minutes. Empty the cooling system and flush with water. Refill the cooling system according to the manufacturer's instructions. A 250 ml can is effective for 8 liters of cooling fluid. 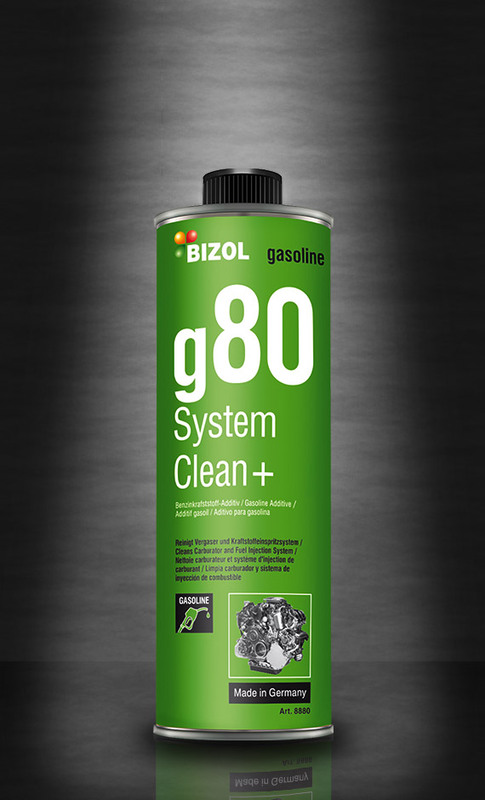 BIZOL Gasoline System Clean+ g80 cleans completely the gasoline system, including the injection system, valves and carburetor. Restores initially lost motor power. Reduces fuel consumption and emissions through improved combustion. Protects against corrosion and oxidation. A 250 ml can is suitable for up to 75 liters of gasoline fuel. Just pour it in the fuel tank; it is self-mixing. For preventive maintenance use every 3rd tank filling. In countries with low fuel quality recommended for continuous use. A 250 ml can is suitable for up to 70 liters of gasoline fuel. Just pour it in the fuel tank; it is self-mixing. Regular application is recommended. 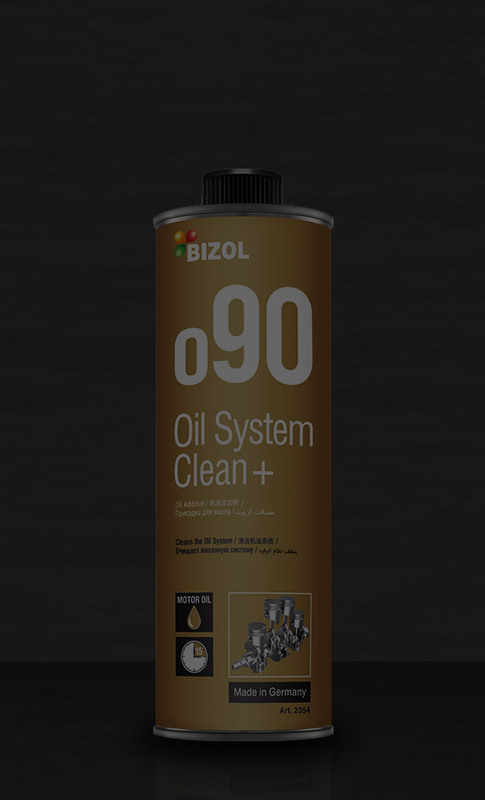 BIZOL Oil System Clean+ o90 contains effective cleaning molecules that dissolve contaminations in in the oil circulation system and prepares the oil system for an optimum performance of the fresh motor oil. To be applied BEFORE an oil change. A 250 ml can is suitable for 4 to 6 liters of motor oil by pouring it in the motor oil when the engine has reached its normal running temperature. Then allow the engine to idle for 15 minutes before changing the motor oil and the filter. Effective with all commercially available motor oils. BIZOL Oil Life+ o91 reduces friction and wear. Stabilizes oil viscosity and increases noticeably engine protection properties of motor oil already in use. A 250 ml can is effective for 4 to 7 liters of motor oil. Contains effective molecules that can be added any time. After adding, please run the engine to reach its normal operating temperature. Do not use in vehicles with wet clutches. 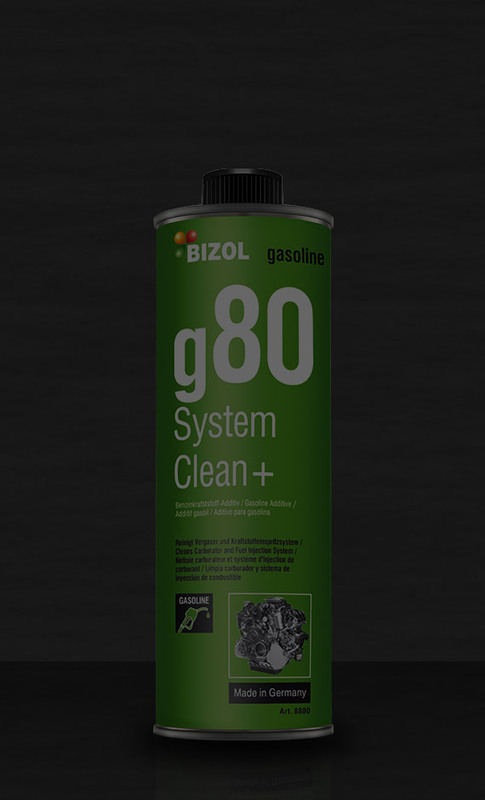 BIZOL Leak Stop+ o92 closes and seals small leaks in diesel and gasoline engines effectively limiting harmful environmental loss of motor oil. A 250 ml can is effective for 4.5 liters of motor oil. Contains effective molecules that can be added any time. After adding, please run the engine to reach its normal operating temperature. BIZOL Smoke Stop+ o93 helps seal piston rind end gaps by not allowing motor oil to enter the combustion chamber, therefore avoiding burning it together with fuel. Reduces exhaust blue smoke caused from motor oil burning, minimizing oil consumption. Reduces engine noise and increases the compression ratio. A 250 ml can is effective by pouring it in the motor oil with a maximum ratio of 1:10. Effective with all commercially available motor oils. Not suitable for use in motorbikes with wet clutches.